If you’ve been using a jailbroken iOS device for a while, you’re probably familiar with SBSettings, an iOS tweak that lets users access basic settings without having to access System Preferences. 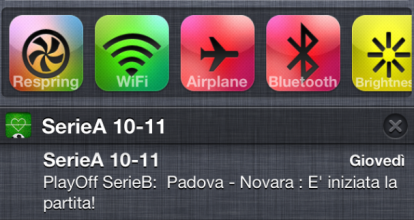 While that tweak still works, now there’s UISettings, simpler and easier-to-use mod that integrates right into iOS 5’s new Notifications Center. This is actually the first third-party iOS 5 widget, hopefully the first of many. 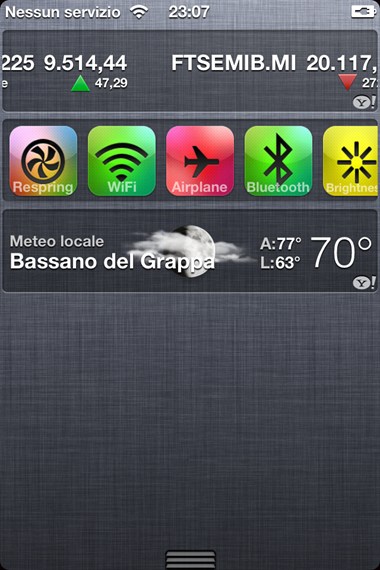 Immediately after being installed, it will show up on the new Notifications Center right above the notifications themselves (and below other built-in widgets such as Weather). From there, you can switch some of the device’s features on or off, including WiFi, Bluetooth and Airplane mode. You can also Re-spring the phone (which comes in handy when installing certain new tweaks or themes), power it off, reboot it and even adjust the device’s brightness without going into System Preferences. This tweak was developed by 14-year-old Italy-based developer qwertyoruiop. Just a few weeks ago, he released an earlier version of UISettings designed for iOS 4 which integrated into the multitasking pane, as opposed to the just-introduced Notifications Center. If you’re still running iOS 4, you can still install the old version by downloading iFile on Cydia, then pointing Safari to this link, hitting "Download" then choosing the "Open in iFile" option. There are no changes in how this version operates and the main drawback still remains: there’s no clear way to change which items can be displayed. On the other hand, the settings that are available should pretty much cover the essential needs of 90% of iOS users. This tweak is also easier to get to than SBSettings, since the Notifications Center and SBSsettings are brought up in very similar ways, which would probably cause you to open the wrong one quite often. If you’re willing to compromise on features for a better user experience, you’ll be just fine with UISettings. In order to install this tweak, your phone must be running iOS 5 Beta, jailbroken. If you’re already running iOS 5, you can apply a tethered jailbreak via Redsn0w, as explained here. You then need to add the following package on Cydia: http://qwertyoruiop.com/beta.